Thangasseri or ‘Dutch Quilon’ as it was called, was once a British enclave. Meaning ‘gold village’ in local parlance, this was the hub of a flourishing trade that used gold as currency. This seaside village of historic importance shelters the ruins of an old Portuguese fort and churches built during the 18th century. It is situated 5 km away from Kollam town in the state of Kerala. 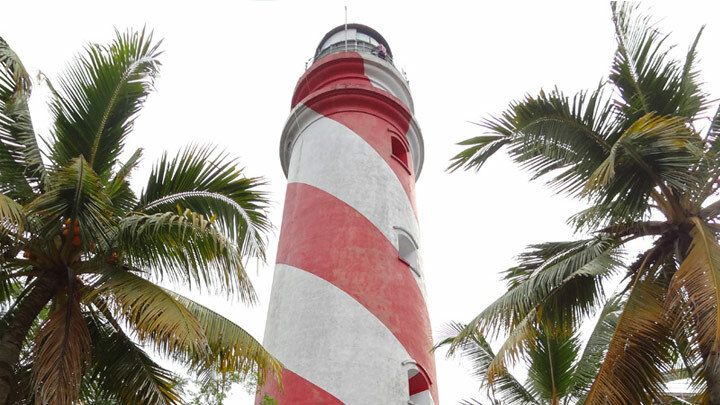 The famed lighthouse of Thangasseri was built in 1902 and stands 144 ft high. The beacon can be seen up to 13 miles out at sea. Check out the lighthouse at Thangasseri which is open to visitors from 1530 – 1730 hrs. Get to see the sun setting and the moon rising simultaneously at Thangasseri on the drive down the Lighthouse Road, which gives you a breathtaking view of the sea as well.